This handler uses Salesforce's REST API to add a new task to Salesforce. The first thing that the handler does is obtain an access token using the inputted info values, which is used to authenticate the rest of the calls that are made. Next, the handler makes a call to change the requesters email into their user id, which is what is actually used when assigning a task to a user. Then the task is made as a JSON object, with the Subject, Opportunity/Account (opportunity and account cannot be used together), Contact, and Comment values being obtained from the user inputted data. Lastly, that JSON task object that was just created is sent in the body of a REST call to Salesforce, where it is then created and stored in your Salesforce account. Requester Email Email of the user that the new task will be assigned to. Subject Subject of the new task. Comment Comment for the new task. Contact Id The Id of the Contact that this task will be linked with. Account Id The Id of the Account that this task will be linked with (can't be used at the same time as Opportunity Id). Opportunity Id The Id of the Opportunity that this task will be linked with (can't be used at the same time as Account Id). Creates a Salesforce Account record with the given parameters and returns the Account Id of the created Account record. Creates a Salesforce Account Case record with the given parameters and returns the Case Id of the created record. The parameters are mapped directly to their respective fields. 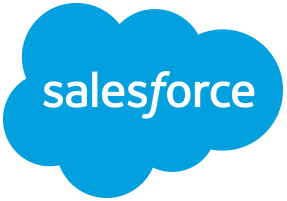 Retrieves a Salesforce Contact record with the given Contact Id. Generically creates a Salesforce object given a type and a JSON body. Generically retrieves a Salesforce object given a type and an id. Creates a Salesforce Opportunity record with the given parameters and returns the id of the new Opportunity record. Updates a Salesforce Opportunity record with the given parameters. Disables a user account in Salesforce.